Orlando (Florida), Uzwil (Switzerland), September 25, 2018 – Microsoft’s annual Ignite Conference hosts the launch of Bühler Insights™, one of the first secure, high performing and reliable cloud-based frameworks for digital services in the food and feed processing industry. MoisturePro™, one of Bühler’s digital services powered by the Bühler Insights platform, can reduce energy consumption for industrial drying processes and save customers hundreds of thousands of dollars per year. The Bühler Insights platform combines the power of Bühler’s leadership in food processing with Microsoft’s leadership in delivering intelligent Azure cloud technologies, including artificial intelligence (AI) and Internet of Things (IoT) capabilities, and blockchain to unlock a new degree of food safety, traceability, transparency, and data intelligence. Partnering with Microsoft and using its Azure cloud platform enabled Bühler to develop Bühler Insights – a single IoT platform that runs all of Bühler’s digital services and enables customers to access these services via a single portal. 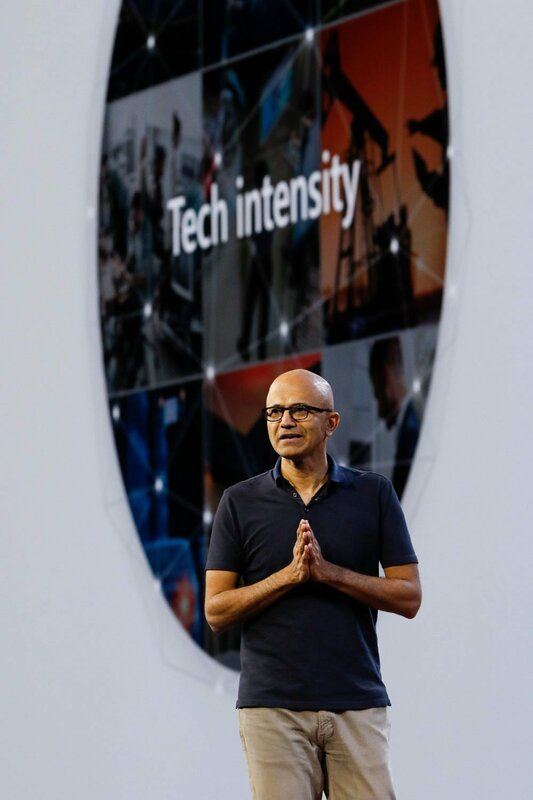 In his Ignite keynote, Satya Nadella, CEO of Microsoft, highlighted Bühler's critical role in the world's food supply and its work to use digital technology to ensure true food safety. 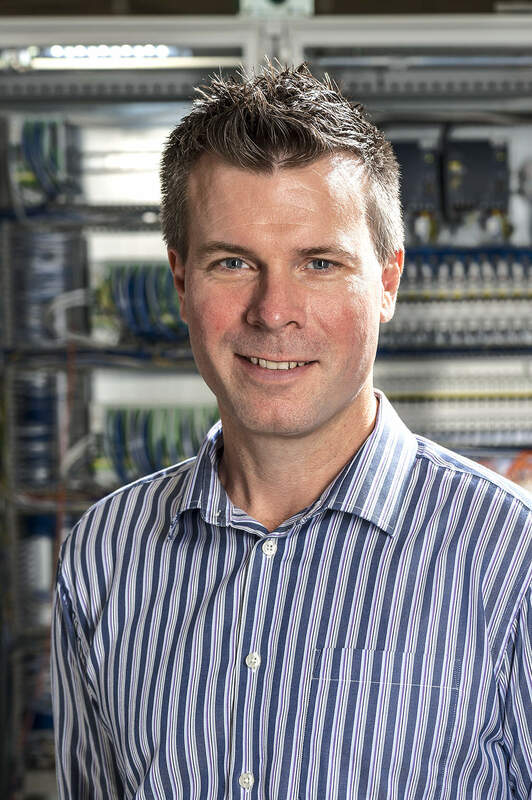 Stuart Bashford, Digital Officer at Bühler adds: “Microsoft’s technology has made it possible to accelerate time to market and has allowed us to deliver real benefits and value to our customers.” For manufacturers, that means reaching new levels of productivity. With the Bühler Insights, every machine in your plant can run as if your best operator is on the job around the clock. Bühler Insights provides the platform from which Bühler can deliver its process know-how directly to customers. Bühler currently has the capability to connect more than 85% of its solutions to Bühler Insights. 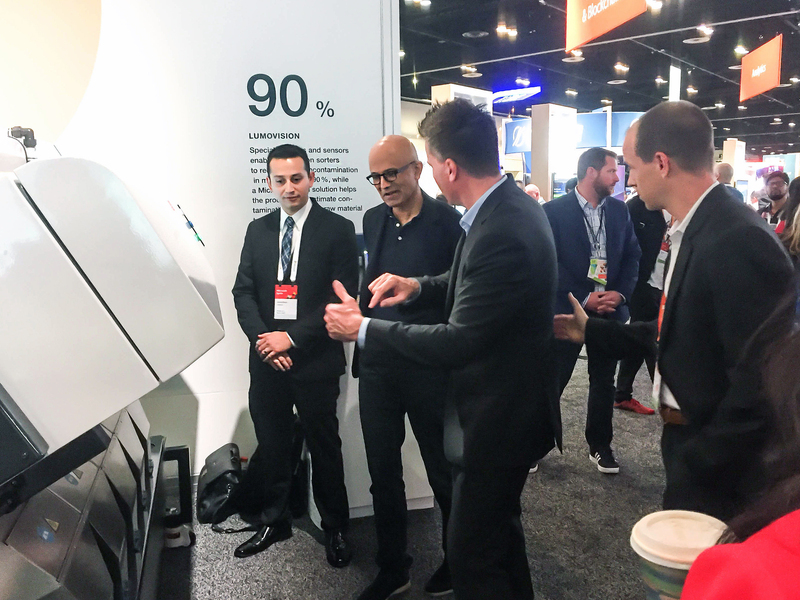 Bühler is showcasing a selection of its digital services at Microsoft Ignite, including MoisturePro, a cloud-based digital service that drives significant improvements in yield, reduces energy costs and the environmental footprint of thermal processing in the food and feed industry. Harnessing the power of cloud connectivity, it can deliver a return on investment of USD $300,000, translating to an annual energy savings of USD $20,000. 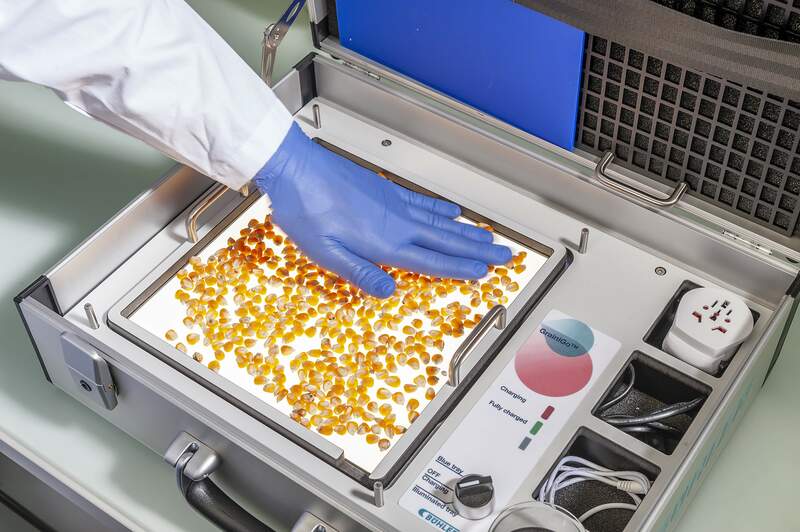 “Leveraging the power of the IoT and cloud technology we can make our expertise available to our customers at every stage of the drying process and drive real change,” says Paul McKeithan, Bühler’s Head of Digital Services. MoisturePro is just one of a suite of digital services available on Bühler Insights. Another is LumoVision, which can identify and remove corn (maize) that has been contaminated with toxic aflatoxin. 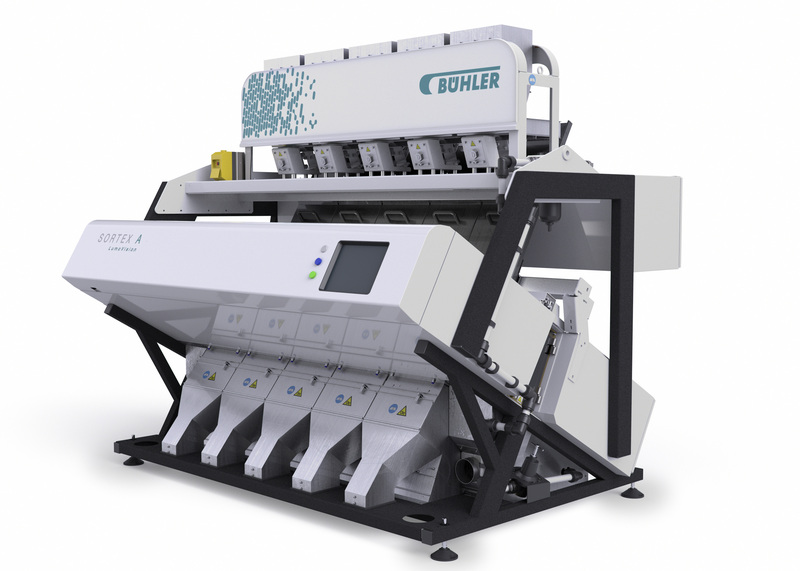 Two additional image-processing Bühler Insights solutions are, GrainiGo™ for corn and TotalSense™ for rice. These solutions enable customers to assess raw material quality and trends, compare performance objectively and consistently, and store data for future analysis and traceability. More information about Bühler’s digital solutions can be found here: https://digital.buhlergroup.com/. Bühler Insights, with its first set of digital services running on this platform, is just the start of this endeavour. Bühler and Microsoft are already looking into blockchain to secure total traceability for the food industry and consumers. Blockchain is an ideal way to record actions and transactions, because it’s very difficult to change or tamper with. Bühler and Microsoft are working together on the development of a blockchain solution that will increase food safety and transparency across the food value chain. 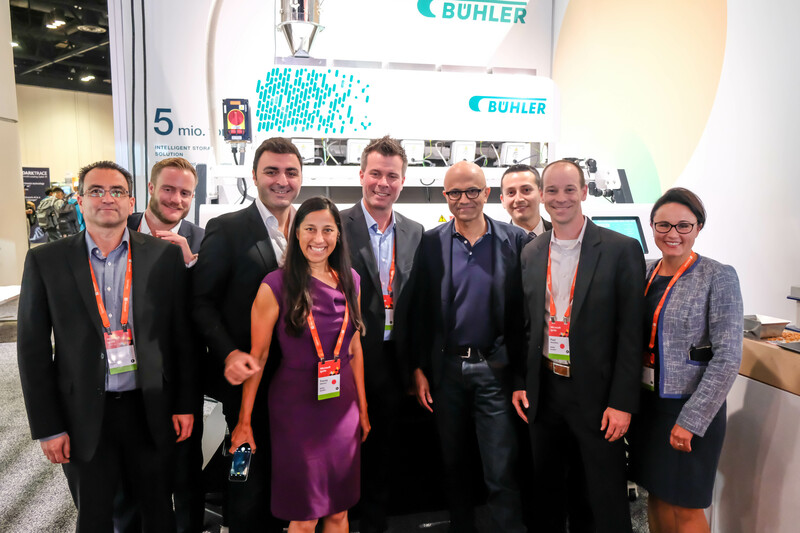 Satya Nadella said that Bühler is transforming its business with AI, and the broader industry with blockchain. As Stuart Bashford, Digital Officer at the Bühler Group, explains this could also help to increase awareness in the food industry: “These problems in the food chain have been with us for some time. But now we have the technology to solve them. 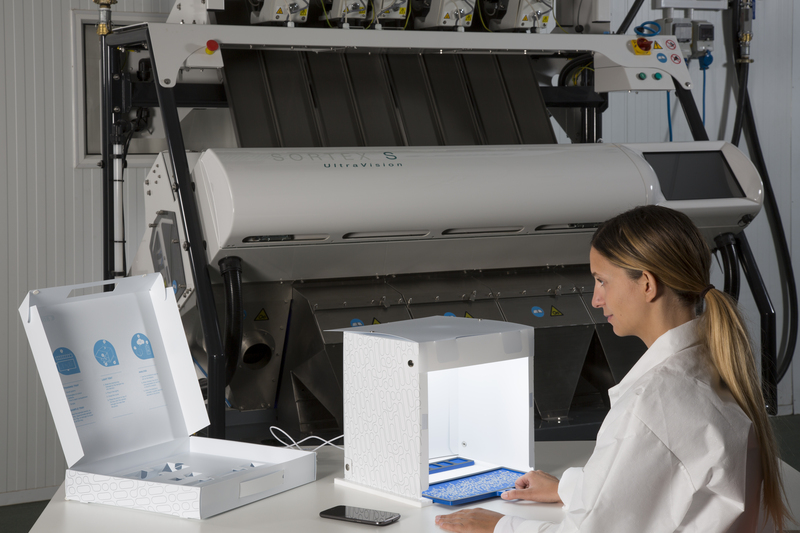 This way we can introduce standards worldwide and make it easier to trace contamination, cut down food waste and make it a lot harder for food fraud to happen.” Every day 2 billion people eat food processed on Bühler machinery. 1 billion more travel in cars or transport that use Bühler’s advanced materials. That is the world Bühler is able to change with Microsoft, Bühler Insights, and blockchain. 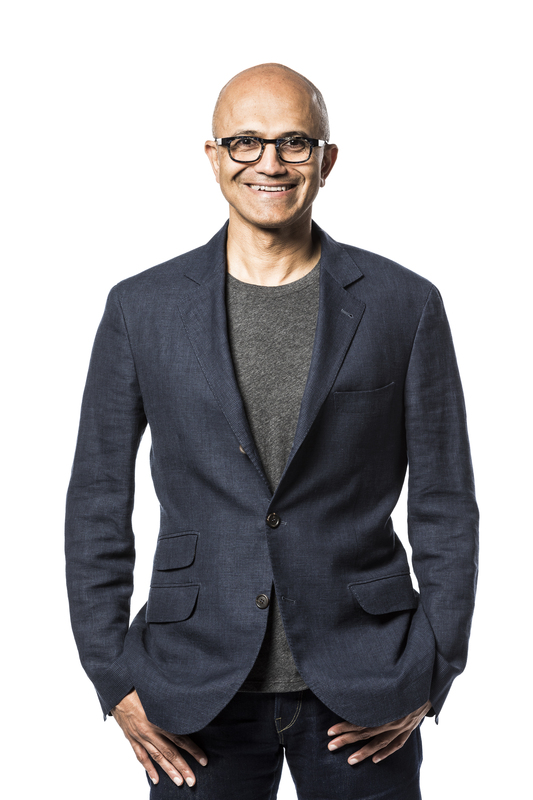 Watch Satya Nadella’s keynote at Ignite here (Bühler part at 26:45 min: https://www.youtube.com/watch?v=XBpibC4s0bc. More about Bühler’s digital solutions: https://digital.buhlergroup.com/. More about Microsoft Ignite and Envision: https://news.microsoft.com/ignite-envision2018/.